Airport budget is going up. The Martha’s Vineyard Airport Commission voted this week to approve a preliminary $5.5 million FY20 airport operating budget, up roughly six per cent from a $5.2 million FY19 budget approved in July. The vote was unanimous among the six commissioners present at the meeting. Commissioner Rich Michelson did not attend. 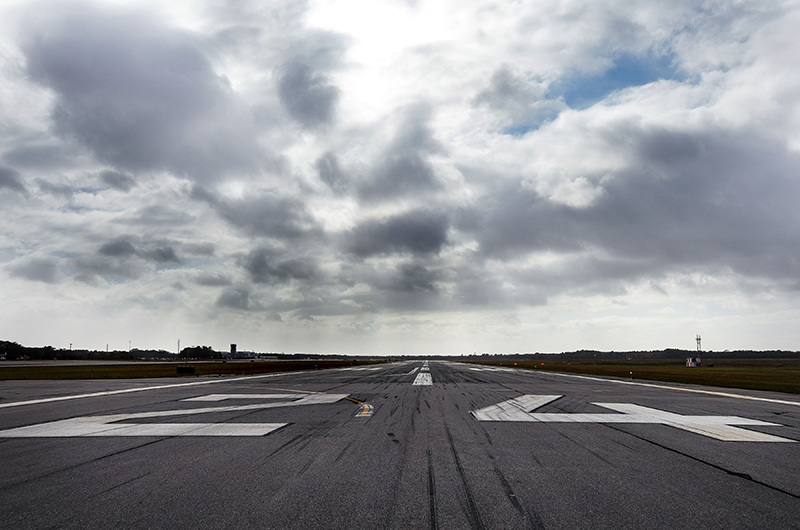 Anticipated expenses for fiscal year 2020 will include $2.5 million for upgrades to the airport’s wastewater treatment facility, nearly $400,000 for a terminal improvement study and $715,000 for the acquisition of a new aircraft rescue and firefighting vehicle. The proposed budget now goes to the Dukes County Advisory Board for review and approval. Airport director Ann Richart told commissioners at their regular meeting Thursday meeting that the budget will likely change before the end of the current fiscal year. Commissioner Richard Knabel expressed hesitation at sending a preliminary budget to the county advisory board with figures that could change later on, requiring another approval. No line item budget was presented, only totals for projected revenues and expenses. “I’m just concerned that we don’t get caught in a Catch-22 situation here,” Mr. Knabel said. “That hasn’t been an issue,” responded Ms. Richart. In other business, commissioners voted to spend $26,000 to hire BerryDunn, a CPA and consulting firm based in Manchester, to evaluate and improve the airport’s financial reporting system. “They’ll be here on-site working with county and airport to improve our reporting system, accuracy and timeliness,” said Don Ogilvie, a commissioner and member of the finance subcommittee. Ms. Richart said the airport is still waiting for FAA approval for plans to release additional land in the airport business park for development. She said approval by the Martha’s Vineyard Commission is also required, and that she plans to work with the MVC to update a 1998 business park development plan. The plan stipulates that the airport commission and MVC review the business park every five years, but Ms. Richart told commissioners no such review has yet taken place, so a number of rules and regulations require revision. “We’ve found several issues we want to update,” said Ms. Richart. The board also approved a $21,500 contract with Tetra Tech, an engineering services company, to investigate possible contamination of an old Navy dump site located on land where the business park expansion is planned. Ms. Richart said remediation can begin once the type and extent of the contamination is known. “This is really the next step in opening up that area for potential development in the future,” she said. The meeting concluded with commissioners voting to go into executive session to discuss ongoing litigation over the former Airport Mobil lease. Former airport commission chairman Myron Garfinkle was present for the session. I met with Ann Richart in the Summer as a concerned citizen with respect to future developments that may occur at our airport. It was a frustrated conversation in many ways — I felt heard but I did not leave with an excess of confidence that the ISLAND and the COMMUNITY were being put first. Instead, I heard about a “brand” of Martha’s Vineyard that Ms. Richart wants to preserve. To me, that was a red flag. The ISLAND is NOT a brand. We are a community that is a family, dysfunctional at times, but sticking together to prevent coarse and unnecessary development. I was shown a single negative Yelp review (!) by Ms. Richart at that meeting as support for an argument that the airport needed more money and expansion. Can you imagine? The airport needs to comply with aspects of FAA concerns, she said. That much was also made clear. I understand that — but we need RESPONSIBILITY and a concept of the ISLAND to preserve. I know Kieth Chatinover, incoming on the MVC, has discussed better work at the Airport Commission and management. The Airport Commission is another story. Keith can be the start to refresh the VALUES that airport needs to take into account. It will not be easy, if you are reading, Mr. Chatinover. This is a thorny issue that has a reflected a failure on the Island, much like exorbitant rents in Boston or NYC have reflected a failure in those cities to maintain the character and livelihood of those who built the city and live and work there. It’s the same in Upstate New York.